How do existing public health care programs measure up? Pundits and politicians from both sides of the fence have been hollering themselves blue about a potential public health care option. Instead of relying on private insurers, the government would insure people itself. The idea is that if a government-run option were offered to compete with private insurers, it could help keep pricing in check and ensure quality. The good: TRICARE isn’t an insurance program—it’s considered a government benefit for active members of the military, retirees and their families. This means that if you qualify, you’re automatically covered, regardless of pre-existing conditions. And if you use TRICARE Prime, which operates like an HMO and is the most popular option, there are no out-of-pocket fees so long as you go to a Military Treatment Facility. The bad: If you enroll in TRICARE Prime, which charges non-active-duty members $230 a year, there are just nominal out-of-pocket expenses to visit non-military providers. But if you only have the default coverage, TRICARE Standard, the fees can be steep. Inpatient costs for civilian facilities under the Standard plan, for instance, are $535 a day. The good: Like TRICARE, it’s a government benefit, so if you qualify, you’re in. In many cases, that means you’re exempt from co-pays and deductibles. If not, costs are comparable to Medicare’s. And unlike veterans of previous wars, if you served in Iraq or Afghanistan, the VA will cover you even if you were not injured, because it now recognizes that it can take a few years for symptoms of post-traumatic stress disorder to show. What’s more, you can’t knock the product—the VA is known for its high standard of care. The bad: If you don’t sign up within five years of discharge, you’re out of luck. The ugly: Enrollment has boomed in recent years, because of an influx of vets from Iraq and Afghanistan. But the budget hasn’t kept pace. 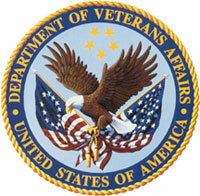 In the last 10 years, the VA’s medical spending per veteran increased 23 percent, from $4,374 to $5,390. But health care costs have inflated by 50 percent. Taking that into account, the VA is actually spending $1,184 less on each veteran now. The good: If you’re a member of one of the country’s 564 American Indian and Alaska Native tribes—or a descendant—you are automatically enrolled (although no dice for tribes that aren’t federally recognized). To receive services, you have to live on or next to a reservation, and you can visit, for free, any of the IHS or tribal-run hospitals or clinics. The ugly: Let’s look at the numbers—American Indians’ life expectancy is 2.4 years less than the overall average, and their infant mortality rate is 8.5 per 1,000 live births, as opposed to 6.8 for the entire country. They are six times as likely to die from tuberculosis, and nearly twice as likely to die from diabetes. Of course, there are multiple factors explaining why Native Americans have more health problems, but health care coverage is likely one of them: While the average health care expenditure in the U.S. is about $6,000 per person, IHS shells out just $2,100. The good: The state of Arizona started this program in the 1980s to offer more affordable health insurance to businesses with between two and 50 employees, allowing them to choose from three managed-care options. The bad: The program operated in the red from 2004 to 2007. While it’s back in the black, that is in part because the plans with the lowest deductibles were eliminated. So, where there used to be zero and $500 deductibles, now most are close to $2,000. The ugly: Even the administrator of the program admits that it might not be the most affordable option. For a small business with a young, healthy staff, you’ll do much better on the private market, the administrator, Monica Coury, told us. The good: Taking Part D (the confusing prescription drug program that’s administered by private programs) out of the picture, people are basically happy with Medicare. The fees are pretty low, and you can go to any health provider that accepts Medicare—which means most providers. And studies show that Medicare’s administrative costs are low compared with those of privately run programs. The bad: There’s a lot of evidence of wasteful care. The program spends about $10 billion annually in payments to suppliers of medical equipment, but an inspector general for the program estimated last year that as much as $2.8 billion of that was waste. Meanwhile, take a look at the discrepancies in how much patients cost the system. In 2006 in Des Moines, Iowa, Medicare doled out an average of $6,335 in reimbursements per enrollee. The same year in Miami, that average was $16,351. The ugly: It’s really, really expensive. In 2008, Medicare funding accounted for more than 13 percent of the federal budget, coming in at a whopping $391 billion. (For the sake of comparison, 2 percent of the budget was spent on education). Because it’s an entitlement program, there’s no way to limit the number of people who qualify, so as baby boomers age into the system, expect to see that budget balloon even more. The good: More than 50 million low-income people who might otherwise go without insurance have it because of this program. It’s state-administered, meaning eligibility can differ, but typically, if you’re low-income, have children, or are disabled, you qualify. The ugly: As the economy has tanked, more people have joined Medicaid, which has squeezed already tight budgets. Many states have used stimulus funds to supplement their budgets. But when the funds run out, it’s unclear what will happen to the program, which accounts for more than one-fifth of total state spending.